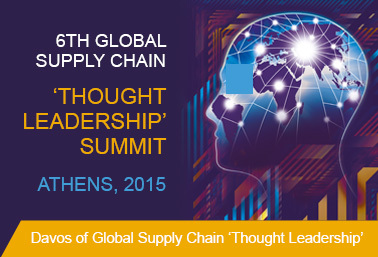 The 2015 Global Supply Chain ‘thought leadership’ Summit will take place in Athens, 29-30 September, 2015. We will again be bringing together in one location, some of the finest minds in the world of enterprise supply chains, to engage with each other and an invited audience. The event comes at a crucial time for world economies, as both East and West face their respective challenges. But one thing they share in common is that enterprise supply chains are the central nervous system of global business and commerce, and can offer solutions where no solutions previously existed. 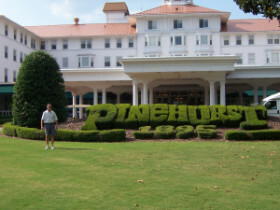 Speaking Engagement for the DILK Conference. ‘Reconnecting Procurement and Procurement Systems to the Enterprise Supply Chains’. This ‘By Invitation Only’ event is jointly staged by Victoria University and Macquarie Graduate School of Management, with the principal sponsor being Linfox Logistics. Watch this site for details of the various topics to be discussed in the eight (8) panels. Breakfast presentation by two internationally acclaimed leaders in supply chain management thinking, Professor Martin Christopher from the UK and Australian expert Dr John Gattorna. 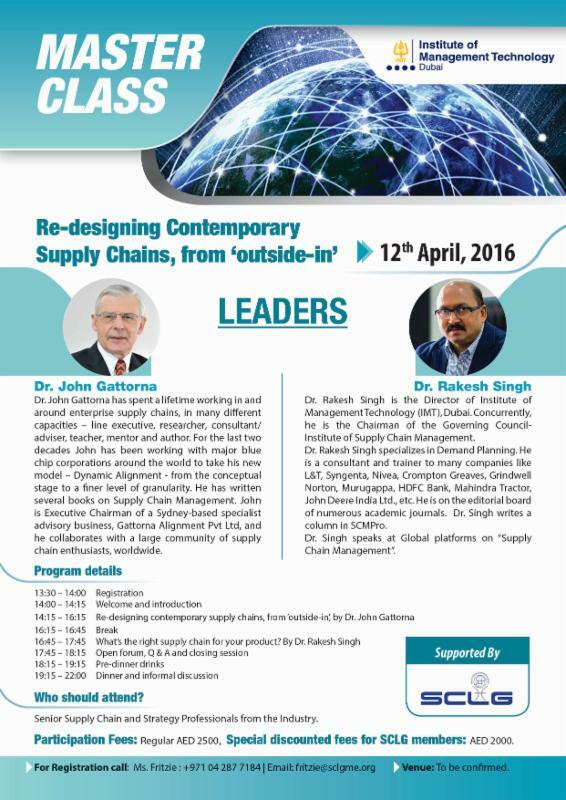 Dr John Gattorna to lead a session on ‘thought leadership’ in contemporary supply chains. This subject is an elective in the MBA program at MGSM, and offered in Hong Kong. Chair 1/2 -Track on Global Collaboration. 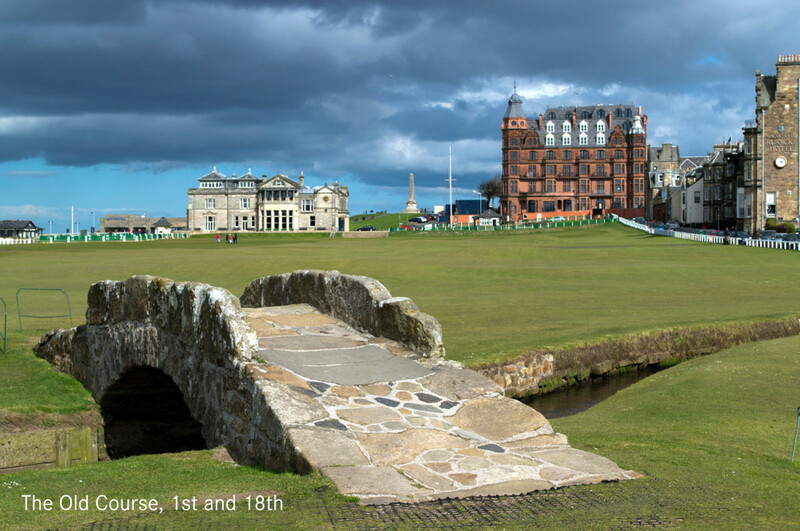 This will involve a series of six sessions. Abstract: John Gattorna will make the case that all enterprises are permeated by multiple supply chains/pathways running through them. He also contends that these pathways along which products and services move are powered by people: customersat the demand end; employees, management, and Boardsinside the enterprise; and suppliers at the sourcing end. All these people influence the way products and services move and therefore the performance of the supply chains they participate in. The trick is to get all parties in synch and aligned. 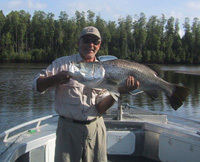 John Gattorna will reveal the framework that he has devised to do just that. Products and services don’t simply move through enterprise supply chains by chance. Products and services only flow if customers and consumers on the outside make decisions to buy in certain ways, and management and staff inside enterprises make decisions to either push products through or build capacity to respond rapidly to unpredictable demand. ‘Value as a Strategic Concept, BUS807, part of M.Com. MBA Unit: Living Supply Chains in international management. 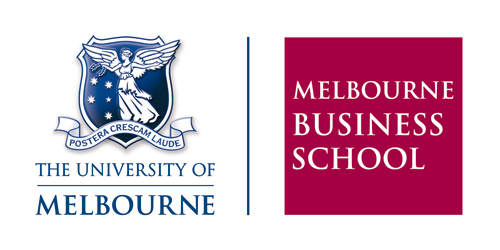 This unit is part of an intensive 2-week Summer School for students from a consortium of six Australian Business Schools, members of the Australian National Business School (ANBS). 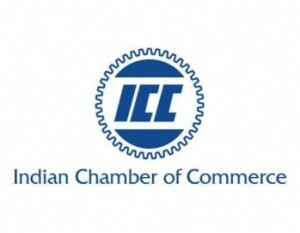 Program designed specifically for senior executives in commerce and industry. Turning The Concept into Reality. European Supply Chain & Logistics Conference, Düsseldorf. Address to the European Chamber of Commerce, Taipei. CXO Forum – Leadership Breakthrough – the 4 PL way, Muscat. Designed specifically for senior executives in industry and commerce. There is too much spoken about collaboration and too little understood. This address is based on a wider study of the 4 basic types of supply chain, and takes the view that “you only collaborate with those companies which genuinely want to collaborate”. In this way over – and under – servicing can be eliminated. People drive supply chains, not technology or infrastructure, or anything else. However, most managers are in denial about this because they can’t work out how to integrate and align customer requirements on the outside, with internal capabilities of the enterprise. This presentation will show you how to do this, and introduce you to the concept of dynami alignment, a new model for aligning strategies, internal human resources, processes, technology, and leadership style, with customers’ buying behaviors. Join us when Dr. John Gattorna, Supply Chain Thought leader and acclaimed author shares experiences and best practices from leading supply chain organizations. This invitation-only luncheon is focused on the open interchange of ideas and experiences that drive supply chain improvement through changes in supply chain operation models, metrics, processes and practices, and technology. John will present ‘Living Supply Chains: A Radical New Framework for Designing and Operating High-Performance Supply Chains’. At this CEDA lunch, John presented insights on how to design and manage high performance supply chains of the future. Jointly conducted between the Centre for Supply Chain Research, University of Wollongong and the Cranfield Centre for Logistics and Supply Chain Management, UK, at Cypress Gardens Resort, Hunter Valley. This presentation argues that too much emphasis in the past has been placed on technology and infrastructure as the sole source of improved performance in corporate supply chains. In fact, supply chains are not mechanical beasts that work like giant conveyor belts. Rather the speaker will argue that supply chains are propelled predominantly by human behavior, both outside (customers) and inside (staff and management) the enterprise. Understand and harness this energy and whole new avenues of performance improvement will be revealed. To bring this vision to reality, the speaker will present a new conceptual model, the dynamic alignment model, which will guide designers and managers of contemporary supply chains to critical areas of ‘mis alignment’ so that these can be addressed in a more focused way. Gone are the days of blind cost-cutting. The new era of hi-performance supply chains will be ushered in through a combination of initiatives that improve the ‘alignment’ between the marketplace, and the enterprise, via smarter allocation of resources. This will all be initiated and driven by inspired leadership. This presentation is based on a by the presenter: Living Supply Chains: How to mobilize the enterprise around delivering what customers want, published by FT Pearson Education, London, 2006. The Forum is a joint initiative of the Association of Chartered Certified Accountants and IBM. Vision, determination and an unswerving drive were key traits that summed up this year’s Logistics & Supply Chain Forum on the P&O Aurora. Visionary supply chain ‘Guru’ Prof. John Gattorna delivered his latest thinking on the networked supply chain and gave us all an idea on how to create an individual SC best suited to the customer. This 5-day program is an elective on the Asian Intensive School for Advanced Management (AISAM), and is conducted in Penang. 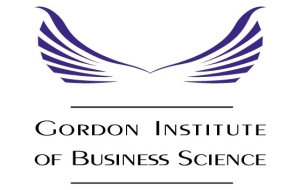 The program is offered by the Australian National Business School, a consortium of six (6) Australian universities. In 2005 this elective will be taught solely by John Gattorna. The underlying theme is “aligning supply chains with customers and suppliers to create new value”. The increasingly important role of 3PLs and 4PLs will be critically reviewed, and new business models proposed for managing future supply chains. This elective is a “must” for those executives wishing to extract high performance from their supply chains. This special 1/2-day research-based workshop will be jointly presented by John Gattorna and Frost & Sullivan’s Cecilia Cabodi of their London office. 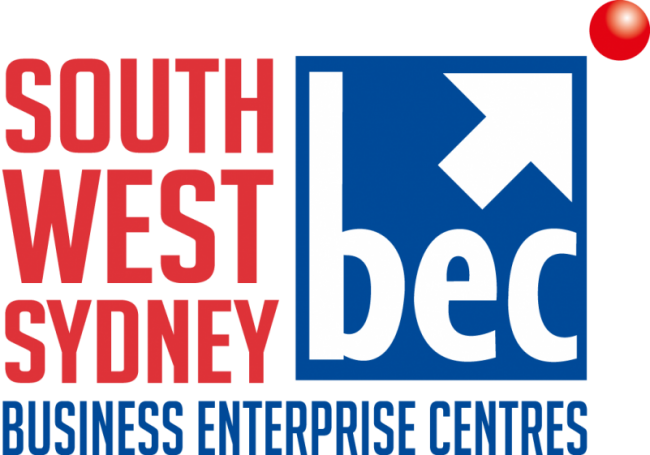 Results of European, Chinese, and Australasian research into the emerging array of new business models in these markets will be presented. The workshop is designed to be participative, so numbers will be strictly limited. Living Supply Chains – unlocking value through a radically new approach to the design and operation of corporate supply chains. This presentation is based on the contents and thrust of a new book of the same title due to be published in London in late 2005. In essence, John Gattorna argues for a radical re-think of current approaches to designing and managing today’s supply chains. In particular, he contends that the biggest influencer of performance, human behaviour inside and outside organizations, is largely being overlooked in the search for ever increasing corporate performance improvement. This situation must be redressed. A special workshop for the Chartered Institute of Logistics & Transport, New Zealand, Christchurch, 10 May; and Auckland, 11 May. This 1-day event (with Prof. Martin Christopher, Cranfield), will explore different types of supply chain configurations, and the corresponding business models which are emerging around the world. 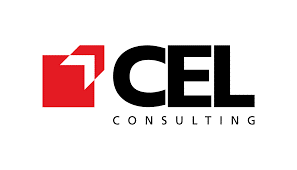 A 3-day intensive Forum for C-level executives presented by the Centre for Supply Chain Research, University of Wollongong, at the Hyatt Regency, Coolum. This is the 2nd Annual Forum, and is a “By Invitation Only” event designed to bring together top level executive teams from ten (10) enterprises drawn from across Asia Pacific. Ideally, the representative team will be some combination of the MD, CEO, COO, CFO, CIO, CLO, and CMO, or equivalent. The underlying theme of the Forum is the achievement of improved ‘alignment’ between enterprises and their respective customers, suppliers, and third party providers. The format is unique in that a series of expert interventions by the international faculty in plenary style sessions are interspersed with mini-workshops where each executive team retires to consider how the ideas presented earlier can be used in their own enterprises and operating environments. This is not a training session, and tangible outcomes are required of the attending teams. 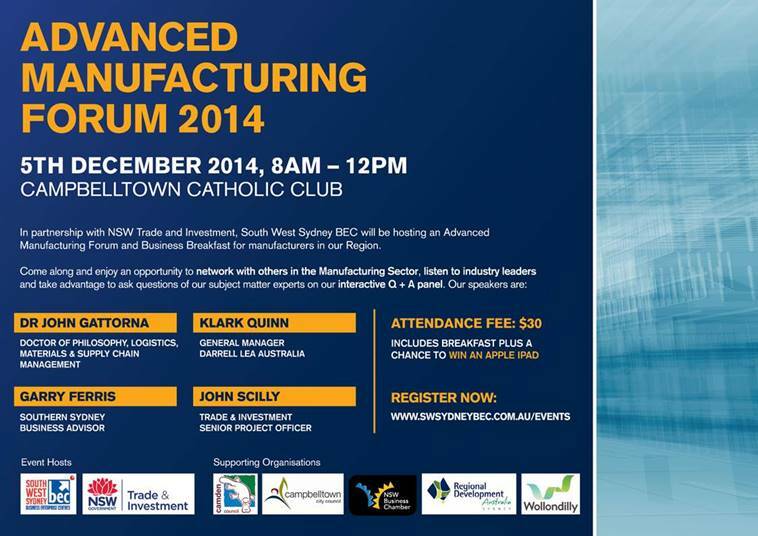 A cross-section of enterprises drawn from industry, commerce, service and government sectors are to be invited. In the inaugural Forum in 2004, the ACCC contributed to the debate on new business models in Australian supply chains, and we intend to repeat this highlight in the 2005 program. A paper describing how Australia’s Pharmaceutical companies can achieve World Class performance with the help of their supply chains. 2nd Annual Pharmaceutical & Medical Supply Chain Conference, presented by Lloyds List DCN, Sydney. A paper designed to expose the critical role of humans and human behavior achieving high-performance in supply chains. Adaptive Supply Chain Strategies Conference 2005, presented by Orchestrate, Sydney. This paper was delivered by Prof. John Gattorna at the INTERLOG 2004 Conference, Sydney, 28 October, 2004. Over the last decade there has been a discernible transition from ‘supply push’ to ‘demand pull’ in many industries, especially those requiring agile service responses. There have been many factors driving this change, but more demanding and powerful customers have been the predominant reason. This, coupled with the capacity to respond quickly and cost-effectively. But such a change means going beyond simply improving operational processes – it requires a complete cultural change and shift in mindset in supplier organizations. Ultimately, it comes down to how organizations can structure themselves to manage the required mix of “push” and “pull”. This paper presents specific ideas on how this can be achieved. Presentation of two papers at a special workshop organized by Frost & Sullivan, London. Presentation of 3PL/4PL Research Report, Logistics Association of Australia (LAA) dinner meeting, Sydney. Luncheon address sponsored by DHL, at the Four Seasons Hotel, Shanghai. Workshop presentation for The Logistics Institute – Asia Pacific (TLIAP) and National University of Singapore (NUS), Singapore – with Profs. Martin Christopher (Cranfield) and John Langley (Georgia Institute of Technology). 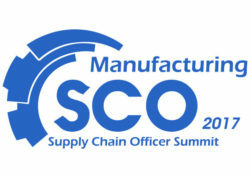 Workshop on Supply Chain Optimization (SCO) and E-Markets.